On Saturday morning Diane and I left home early and drove west into Utah to go hiking in the desert. Our destination was Crack Canyon in the San Rafael Reef which is not too far away from the much more popular Little Wild Horse Canyon and Goblin Valley State Park. After getting off the highway and following Temple Mountain Road through the reef, we took the Behind the Reef Road to Crack Canyon and drove down the wash to the Wilderness Study Area boundary. We parked here and started hiking down the canyon. It was a beautiful canyon with interesting tafoni everywhere and a few short sections of narrows. 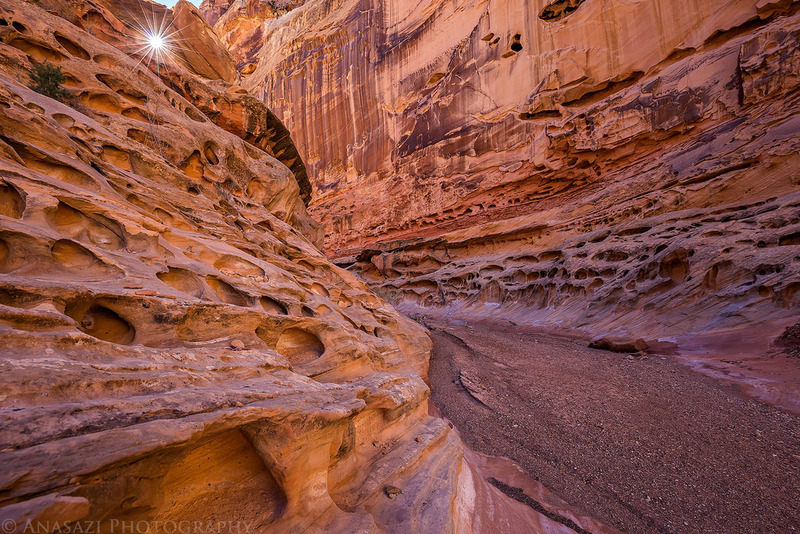 There was nice reflected light bouncing off the canyon walls so I took my time taking plenty of photos along the way. We hiked through the reef until we reached the intersection with the Chute Canyon Trail where we turned around and returned the way we had come. We didn’t see anyone else all afternoon until we were on our way back to the trailhead, and even then we only ran into a family of four and another solo hiker. The high temperature was probably in the low 50’s and it turned out to be a great day for hiking in the canyon! 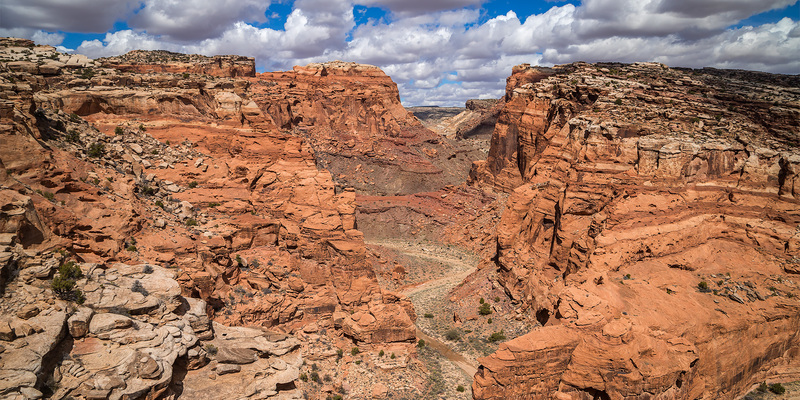 On Saturday, Amanda and I headed west to the San Rafael Swell so we could go for a hike in Wild Horse Canyon. 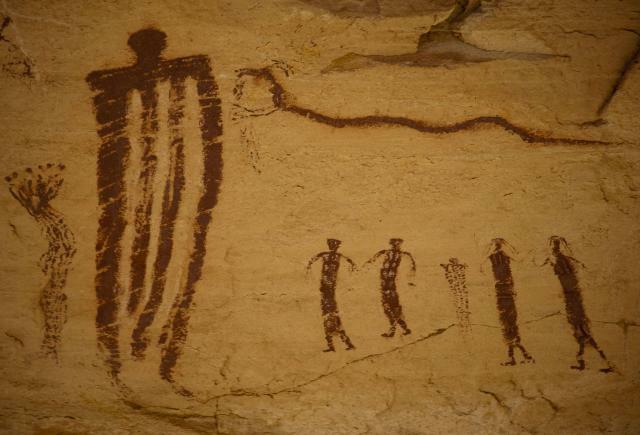 Before reaching our destination, we stopped by the pictographs along Temple Mountain Wash.